Ian Pearson, head of the Futurology unit at BT, claims that the wealthy will be able to download their minds into computers by 2050. Science fiction writers have been making the same claim since the 1960's. "If you draw the timelines, realistically by 2050 we would expect to be able to download your mind into a machine, so when you die it's not a major career problem,' Dr. Pearson stated. “If you're rich enough then by 2050 it's feasible. If you're poor you'll probably have to wait until 2075 or 2080 when it's routine. We are very serious about it. That's how fast this technology is moving: 45 years is a hell of a long time in IT." Dr. Pearson bases his belief at least partially on the observed advances in computer-based intelligence; computers should have sufficient power to equal human intelligence within the next fifteen years. SF writers have had fun with this kind of prediction since the 1960's. 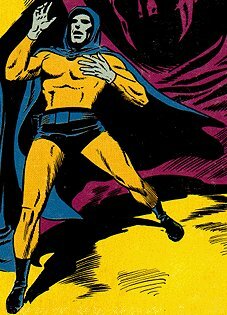 A very early reference to the idea of downloading your mind into a robotic body can be found in a 1965 comic called T.H.U.N.D.E.R. Agents. Anthony Dunn was a scientist who developed a way to electronically place his mind into the computer brain of a robot, cheating death. He became NoMan, able to transfer his mind from one robotic body to the next at will. The sensible thing, as always, would be to send a copy. But my place is too far from the Teller building. My little home kiln couldn't thaw and imprint quickly enough to make Blaine's rendezvous. An example of being able to make a backup copy of your mind can be found in Richard Morgan's 2003 novel Altered Carbon. You can also download your mind into a synthetic sleeve, an android body. Read more of an interview with Dr. Pearson in Download the mind by 2050. See also this review of David Brin's Kiln People.